Will a Cell Phone Signal Booster Work for Me? This is actually a question that we hear a lot here at UberSignal. Signal booster systems can be complex and sometimes it's not altogether clear on whether they'll work for your own situation, so we thought it best to put together a comprehensive post on what types of situations a signal booster will work for you, and which ones it won't. What is a Signal Booster? First off, it's important to understand what a signal booster is and how it works. 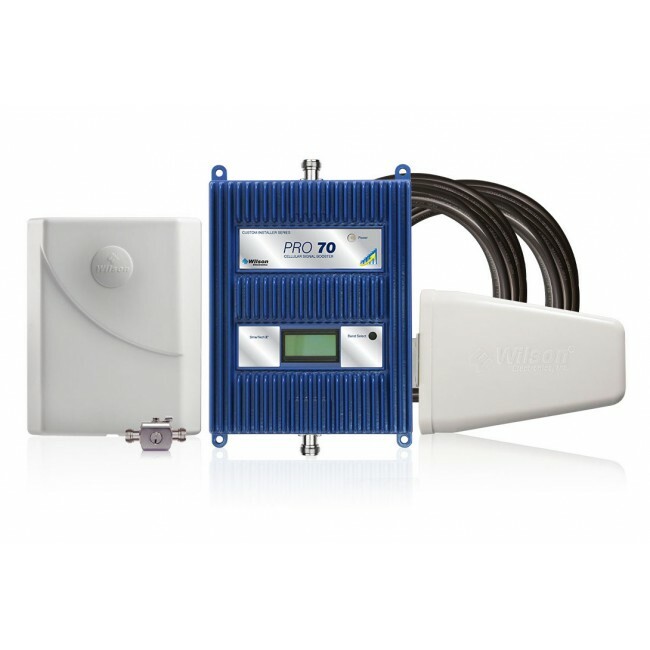 A signal booster is a system which extends a good cell signal into an area which has a poor signal. It does this by placing an antenna in an area which has a good cell signal which receives the signal and passes it via a cable to a cell phone signal amplifier. 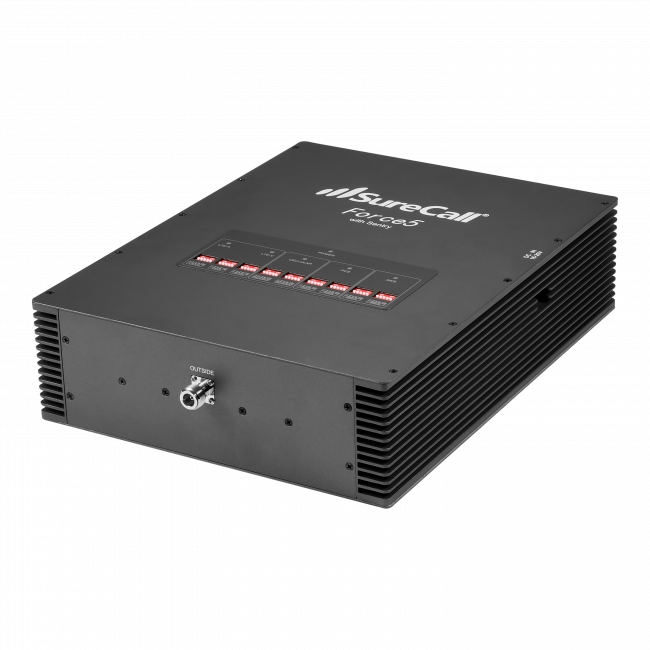 The amplifier increases the strength of the cell signal, and then sends it over another cable to a different antenna, which is located in the area having bad signal. The antenna then transmits the cell signal into the area with poor reception, and presto, you now have good cell signal. While that might still sound a little complicated, don't worry, it will become clearer as we walk through a few scenarios, but for now, you just have to know that a signal booster is an antenna connected to an amplifier connected to an antenna, all with cable. When Will a Signal Booster Not Work for Me? Before we dig into the different scenarios you might find yourself when trying to solve you reception problems, let's talk quick about which situations cannot be solved with a signal booster. As we mentioned in the previous section, the first step in setting up a cell phone signal booster is to place an antenna in a location with a good signal. At UberSignal, we consider a good signal to be at least two bars on your cell phone, and not cutting in and out. If you're not able to find a place with a good signal (you may need to get up on your roof or check outside your window), then unfortunately a cell phone signal booster will not actually solve your reception problems. This is because a signal booster cannot create new signal out of thin air, it can only amplify an existing signal. Thus, if the signal that you're receiving with the first antenna is cutting out, then your amplified signal will also cut out, which results in dropped calls and a bad cell phone experience. Another situation where a signal booster will not work for you is when you're trying to boost a type of signal which just does not exist. This happens a lot with newer cell phones where a person has just bought the latest and greatest phone and now wants to boost their local 4G signal. The person has a normal 3G cell phone signal, so they assume that the must also have a 4G signal as well. Unfortunately, due to 4G being so new, there isn't a lot of coverage for it, and without coverage, you can't create a 4G signal out of nothing. This is why it's so important to check if you have coverage for whatever type of signal you're trying to boost, before going out and buying a signal booster. If you noticed in the previous section, there is a basic theme to the situations where a cell phone signal booster will not work for you. You must already have a signal in a location that you can access for the type of cell phone signal you're trying to boost, and that signal must be at least two bars without cutting in and out. If you have that, then you're off to a good start! If you find yourself in the position where you need to boost the cell phone signal of just your individual mobile device, such as when you're commuting through areas of poor reception, then a signal booster cradle is going to be the best solution for you. Cradles, such as the Wilson Sleek, are designed to hold and amplify a single mobile device, such as a cell phone or mobile hotspot, and are easy to transport & setup, which makes them ideal for commuters or people who would like to use them in both their home and vehicle. Different vehicles, like SUVs, RVs, Big Rigs, and Ambulances, routinely have problems with cell phone reception due to their construction, and when combined with dead zones or driving through areas of poor reception, can result in dropped calls and illegible conversations. For these types of situations, your options are either to use a Cradle signal booster, which was covered in the Individual section above, or to use one of the few different vehicle signal booster kits, which are designed for use in mobil situations and can be readily mounted on a vehicle. Check out the different options for vehicle signal boosters here. Many times you'll run into the situation where most of your home or office has decent cell reception, but it just drops in one room (which somehow seems to always be where your home office is). 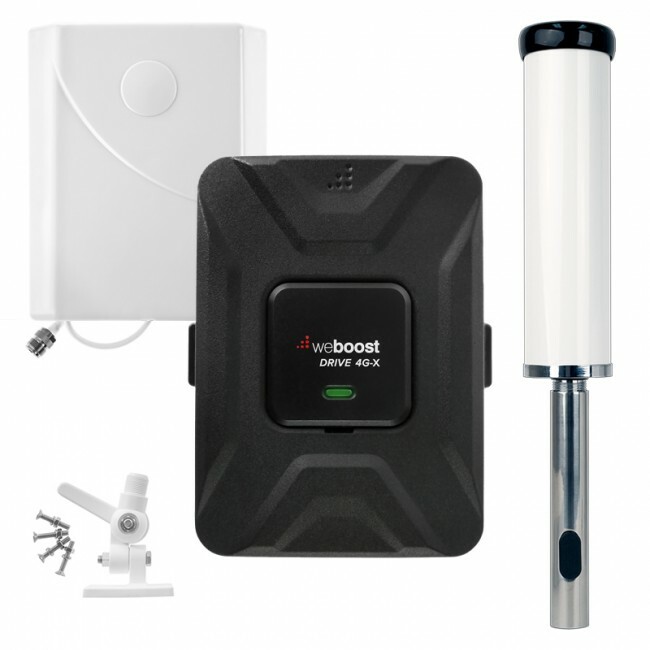 In this situation, you don't really need to boost the cell phone signal for the entire house, just that room, so a lower powered signal booster kit is ideal. The Wi-Ex zBoost Metro (YX540) is just the thing to amplify the signal in a dorm, single room, or studio. You simply mount the suction cup antenna to the window with the best reception, then connect the cabling from the antenna to the amplifier. Plug it in and you should immediately have improved cell phone signal in that room. Sometimes the building that you're in, whether it's a home or office, is constructed out of materials which restrict cell phone signal, such as wire mesh, so you'll get a good signal outside, but a poor one inside. In this case, you'll need a stronger cell phone signal booster which is capable of blanketing the entire house in stronger signal. The exact model will be determined by the square footage of the area you need to cover, the strength of the signal where you plan to put the antenna, and the different cellular providers that you need to support, but for a general rule of thumb, if you need up to 2,500 sq ft of coverage, go with the DB PRO Omni kit, and for up to 5,000 sq ft of coverage, go with the DB PRO Yagi kit. For situations where the area you need to cover is much larger than a typical house or small office, such as a warehouse, barn, large office building, etc., there are significantly stronger amplifiers and custom kit options for you. The best option in this situation is to contact the experts at UberSignal for helping finding the perfect solution for your situation. Overall, if you're able to receive a good cell phone signal in an area which is accessible to the location that doesn't, then a cell phone signal booster is a good option for you. If you have any questions or need help determining which specific system is best for your needs, please do not hesitate to contact us for help! My mother has a 2G phone (Snaphone) and lives in Golden Colorado. She is with T-Mobile because they accept the Snaphone - 2G where Verizon does not. Her reception is awful, dropping calls, calls breaking up all the time and her strongest signal sitting in only 1 specific chair in her apartment is 2 bars. Everywhere else it's 1 bar. She lives in a complex that does not allow anyone living there to have any sort of antenna exposed on the outside of the building. She needs this type of phone, as she is visually and hearing impaired. Not one company has a phone with the set up that this one has, which she needs. Can you positivly say that this is the set-up for her? Thanks for your question. If you can go to a window in your Mom's apartment and get at least some existing signal, then a signal booster will be able to help you to a slight extent. Because you can not mount an antenna outside of the building, you would need a system with an antenna that mounts on the inside of a window, like the SignalBoost DT. 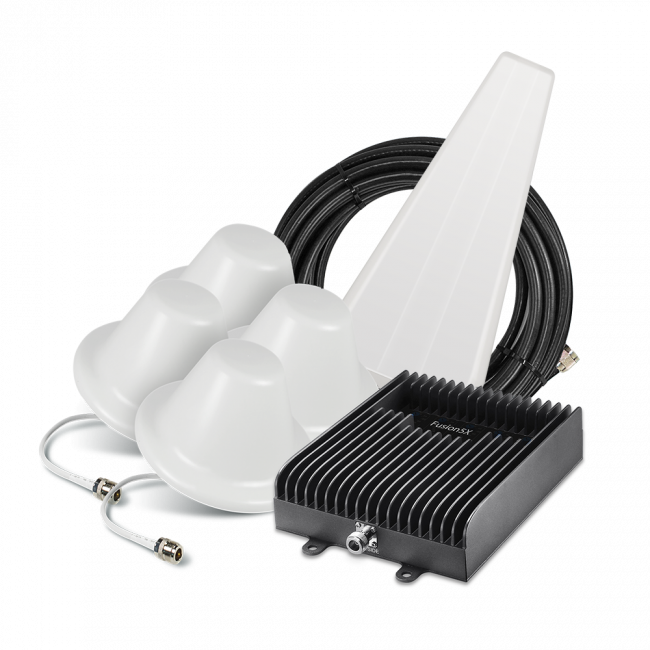 These systems are relatively low powered so you would only get coverage in one small area within about 5 to 10 ft from the inside antenna. If this sound like it would help, please let us know.